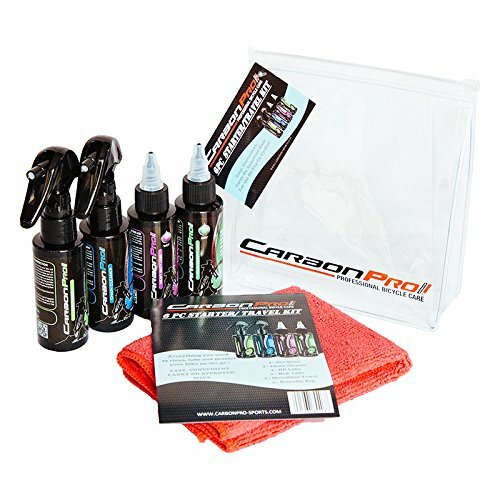 This Product is Starter kit packed for easy travel, includes the following:2oz Chain cleaner.2oz Dri Shine.2oz Med density dry lube.2oz Heavy duty wet lube. 1 Micro fiber cleaning cloth and travel bag.Made in United States. If you have any questions about this product by Carbon Pro, contact us by completing and submitting the form below. If you are looking for a specif part number, please include it with your message.